The dog looks out for both of them. 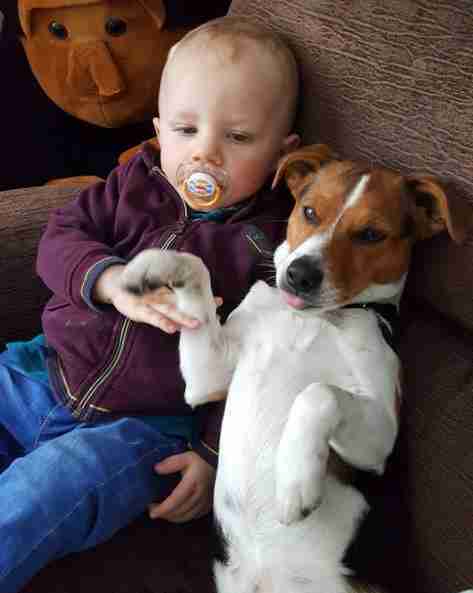 George and his dog Toby have been best friends ever since George was born. "Toby looks out for our son and protects him," Emma Lowe, the boys' mom, told The Dodo. 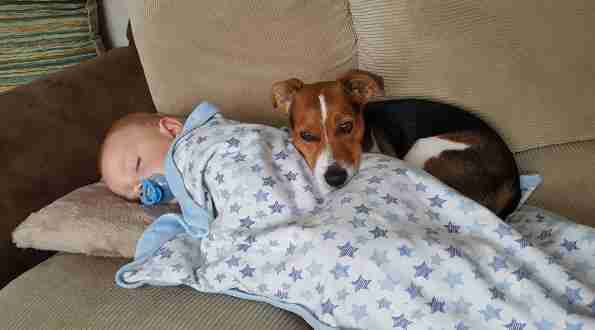 The pair love snuggling up to take naps together, and no matter where they are, Toby is always by George's side to make sure he's happy and safe. 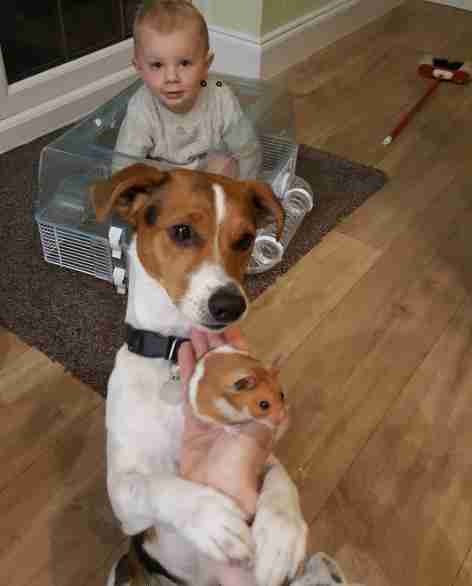 George and Toby were the most adorable duo ever - until Tom came along. 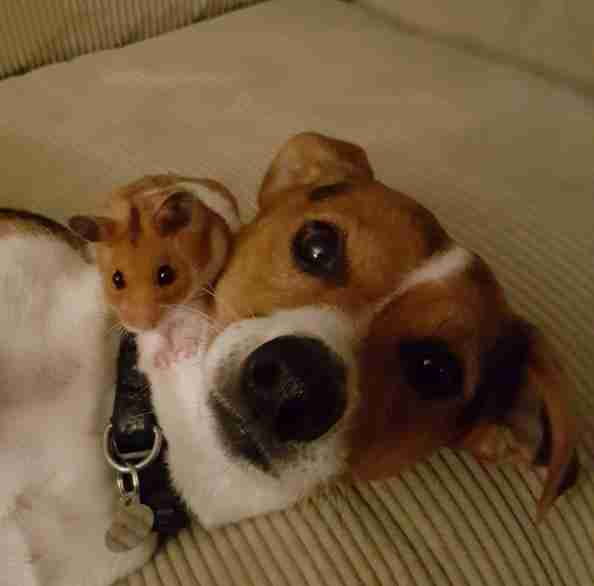 Tom the hamster came into the family a few months ago, and it was unclear if such a tiny new friend would fit into their little group. But after spending some time together, the duo is now a trio, and George, Toby and Tom are all the best of friends. 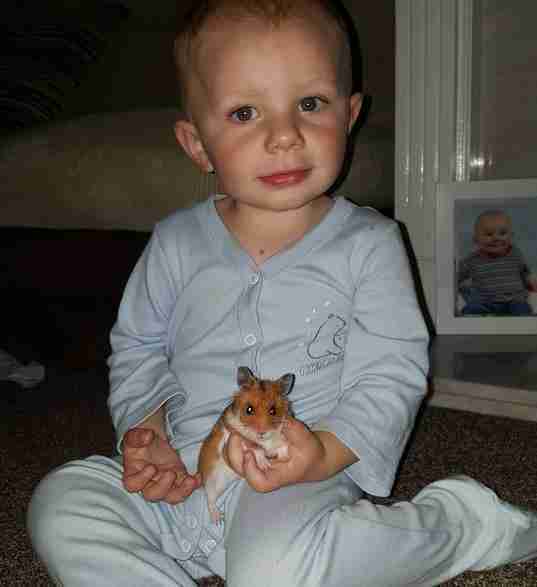 "George plays lovely with his 'tamster' Tom and likes it when his whiskers tickle his neck," Lowe said. 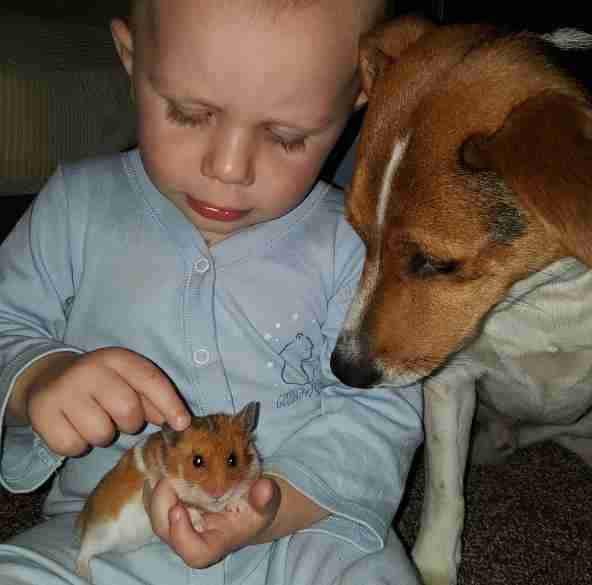 "Toby's gentle with the hamster and will let him run all over him." 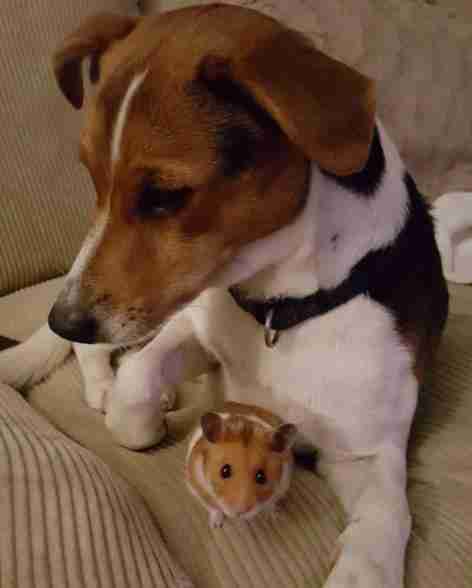 Just like Toby protects George, he now protects little Tom, too, and is so careful and sweet with his new hamster brother. 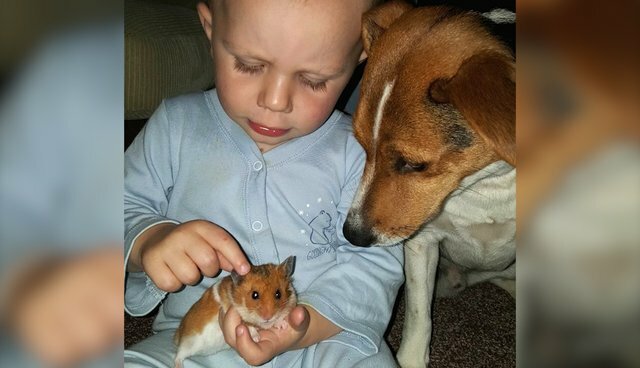 Now, lucky baby George gets to grow up with two animal best friends, and he wouldn't have it any other way. You can follow George, Toby and Tom's adventures on their Instagram account.